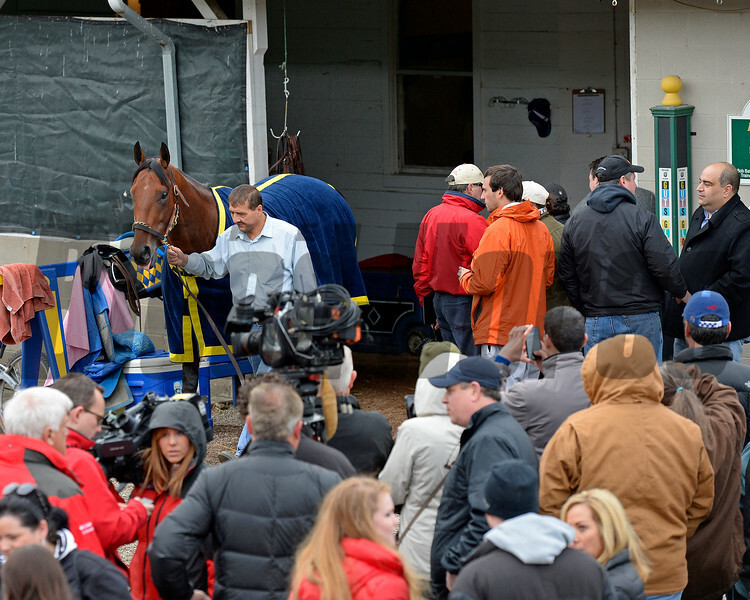 Caption: American Pharoah comes out for a bath viewed by a huge crowd. Horses on the track at Churchill Downs on Sat. April 26, 2015, in Louisville, Ky., in preparation for the Kentucky Derby and Kentucky Oaks.